If you're a lover of flowers, this book can teach you step-by-step floral painting covering poppies, sunflowers, irises, daisies, hydrangeas and much more! The book consists of an introduction that describes the painting supplies and how they are used, a To The Artist letter from Bob and full colour professional photos for each painting. 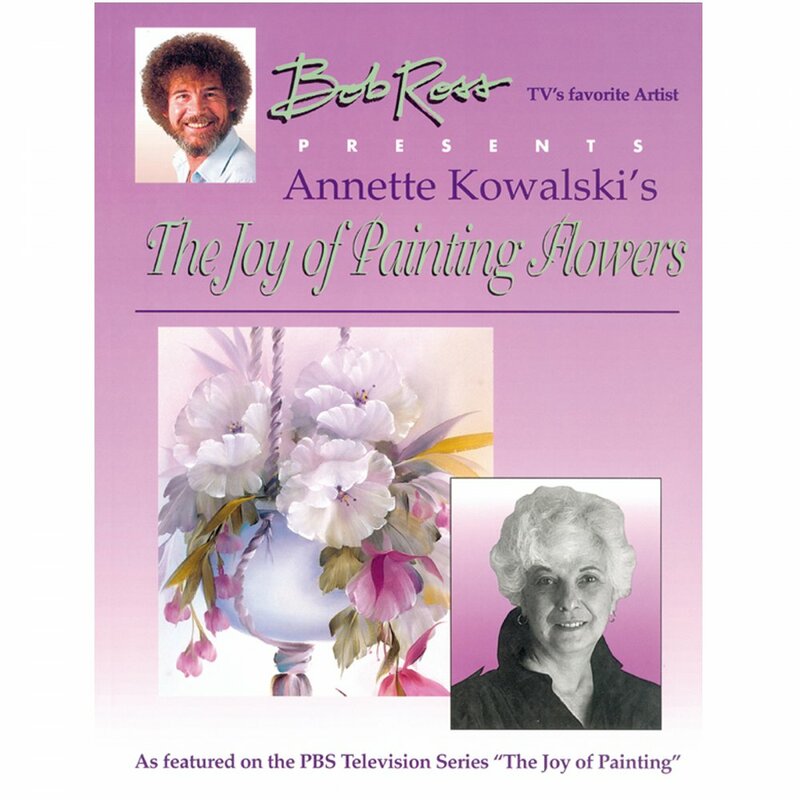 Master the art of painting a range of beautiful flowers from the late, great Bob Ross. Improve your painting techniques with none other than Bob Ross in his The Joy of Painting Flowers Book. Bob, an American painter, art instructor and TV host, is better known for his fantastic work and his infamous 'wet-on-wet' technique. This involves continually adding paint on top of still-wet paint rather than waiting for teach layer to dry. This book fully explains this technique and its benefits through 13 flower painting projects.